Kanto Karaoke Video Creator allows you to easily create video karaoke from any midi/karaoke file. MIDI and KAR files are ideally suited for karaoke: they do not contain vocals, and they can be easily found on the Web. And a lot of them contain synchronized lyrics. The most common file extension for MIDI Karaoke files is KAR, but many MID files also contain lyrics. You can find a lot of free MIDI and KAR files from the Vanbasco Search Site. 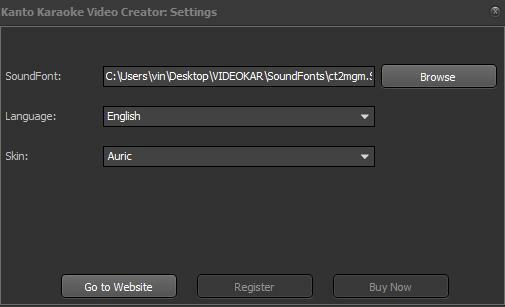 Karaoke Video Creator allows to convert MIDI and KAR into karaoke videos (in MP4, MKV, MPG, AVI, M2TS format). 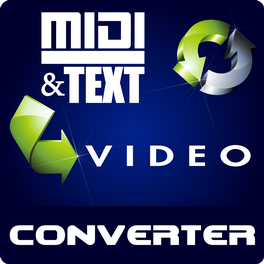 The trial version will allow you to convert the first 60 sec of your midi/kar files to video. Click on “Browse” to add the midi or kar files that you want to convert in video karaoke. 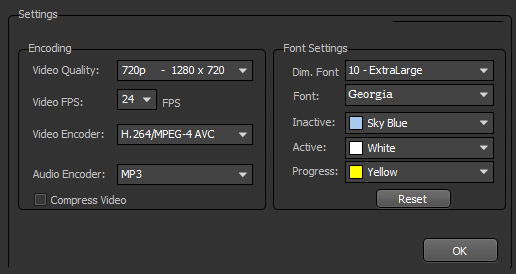 You can also change font settings: font type, colors, and decide to have in output a compressed video (smaller video size). 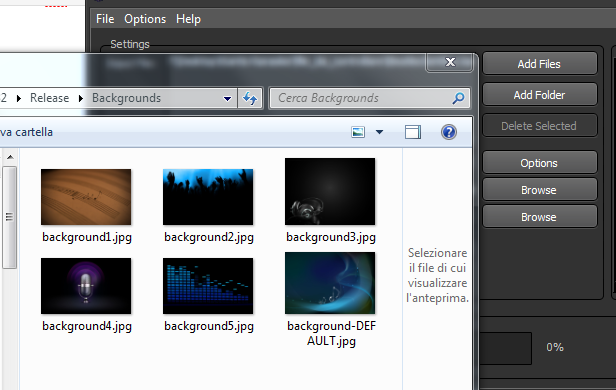 Choose the output folder, the output filename and finally click on START button. You will see the conversion progress at the bottom of the program. I tryed output files on TV set USB. In the image of step 2 you can see that the input file is a .kar file (Hey Jude) and the output format is MP4. Well, I have downloaded the trial version of Karaoke Video Creator and it doesn’t do the job. 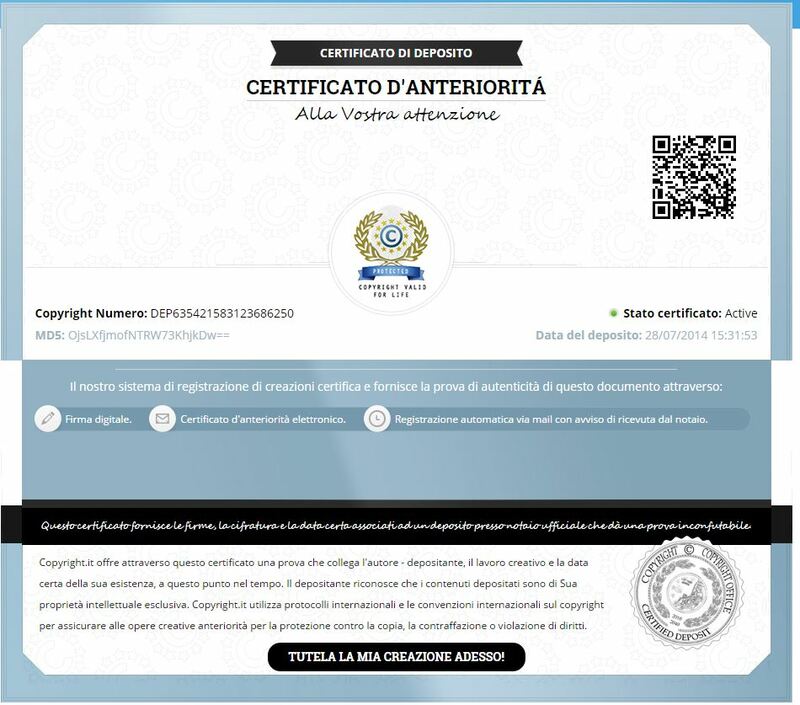 The resulting file was an MP4 file containing only audio and no synchronized text. Did I miss a step? I followed the instructions on this page. Will have to go on searching for the real deal. Are you sure your source file (mid or kar) has lyrics? Please send us your mid/kar file to info@kantokaraoke.com and we will check.